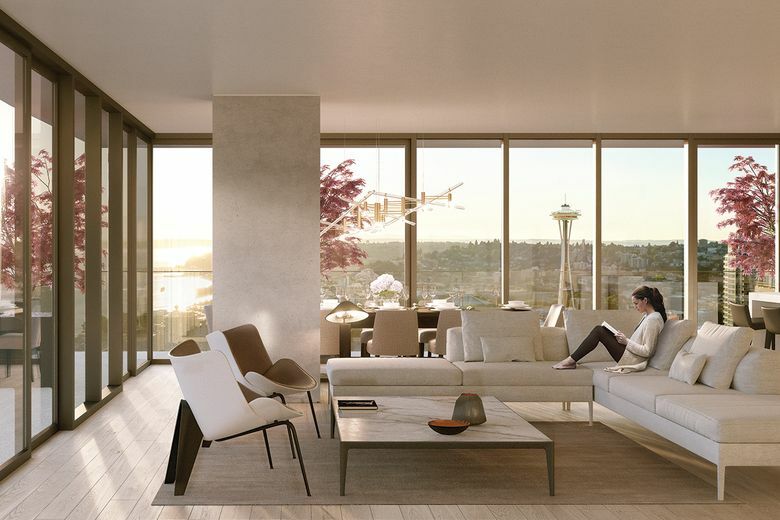 One-, two- and three-bedroom homes and penthouses are available at First Light. 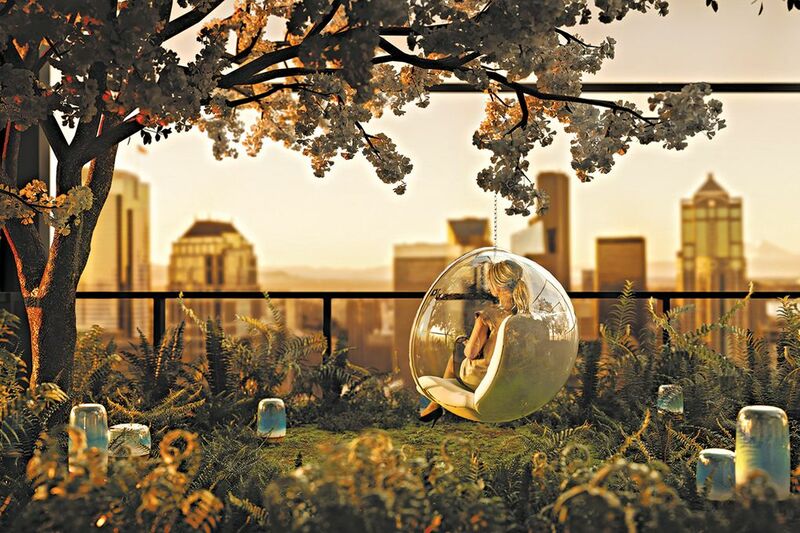 Bringing artistry to the skyline, luxury and style to the home. 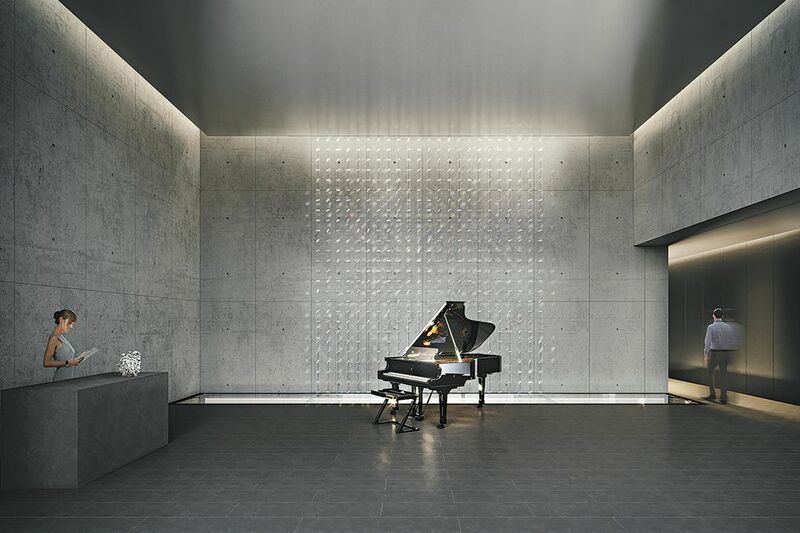 The lobby features a custom Fazioli grand piano, ebony-black with a sparkling glass keyboard. 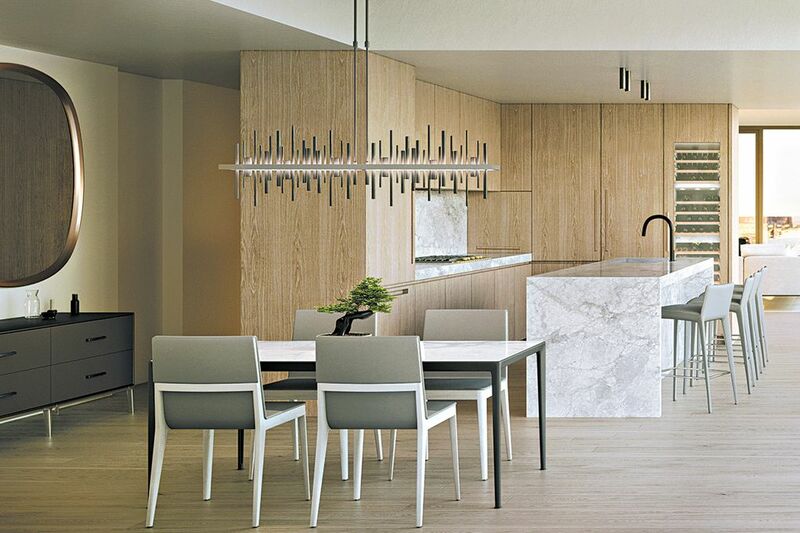 Each suite includes a Miele appliance package and B&B Italia-curated kitchen and bathroom cabinetry. The Secret Garden is shrouded in glass for protection and features John Hogan’s sculptures among the trees, mosses and ferns.